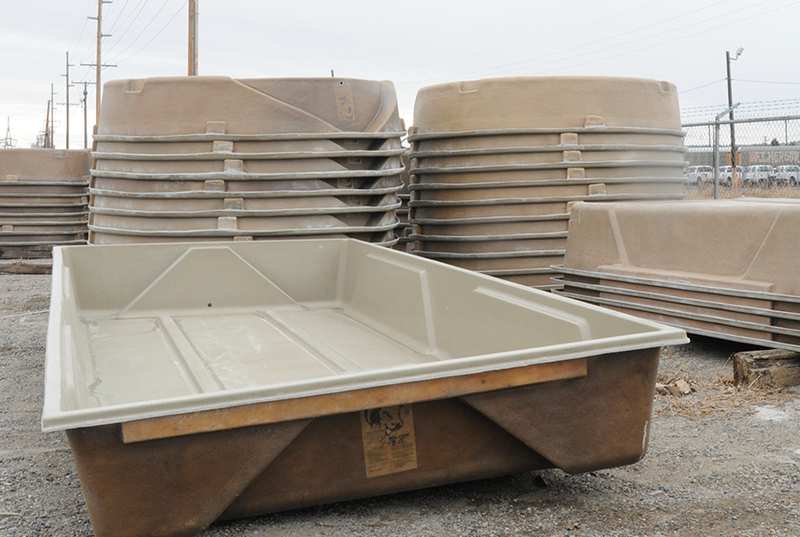 Our Bul-Tuf® fiberglass tanks have been produced in Laurel, Montana since 1978. They are currently in service in all western states. Many of the tanks were installed over 30 years ago and are still functional on livestock operations today. They are unaffected by exposure to wind, sun, and freezing temperatures. Bul-Tuf® tanks will not corrode or rust, come as seamless one-piece units, and are pound for pound stronger than steel. Because they are corrosion resistant, the need for extra corrosion protection in the form of paint and internal coatings is eliminated. Delivered without any seams, Bul-Tuf® tanks greatly reduce the risk of environmental contamination due to leaks or spills. Our Bul-Tuf® tanks represent an excellent value when compared to steel tanks. Bul-Tuf® fiberglass tanks from LFM weigh approximately 60% less than steel tanks. This makes installation easier and less time consuming, saving the customer money in the long run. Also, our fiberglass tanks save money because they are durable and have a longer service life than steel, metal, or poly tanks. Bul-Tuf® tanks are strong, durable, and designed and manufactured to comply with government specifications, in approved colors. They are delivered to you ready to use with molded-in small animal escape ramps, and without any adapters, major installation equipment, or extra materials. Additionally, they are highly maneuverable, and light enough to be manually installed without extensive piping wherever water is available. Bul-Tuf tanks are stackable, with tapered sidewalls and stacking blocks that make storage easy. All Bul-Tuf® tanks are available in insulated configurations featuring 2” insulation around the entire tank and 2” insulated covers, with optional additional drinkers, top access, and ground tubes. No matter what specific agricultural watering challenge you face, LFM can guide you through the entire scope of your project. From CADD services for custom applications through technical support, budgetary estimates, mold fabrication, transportation, and field service after delivery, we are here to serve you. 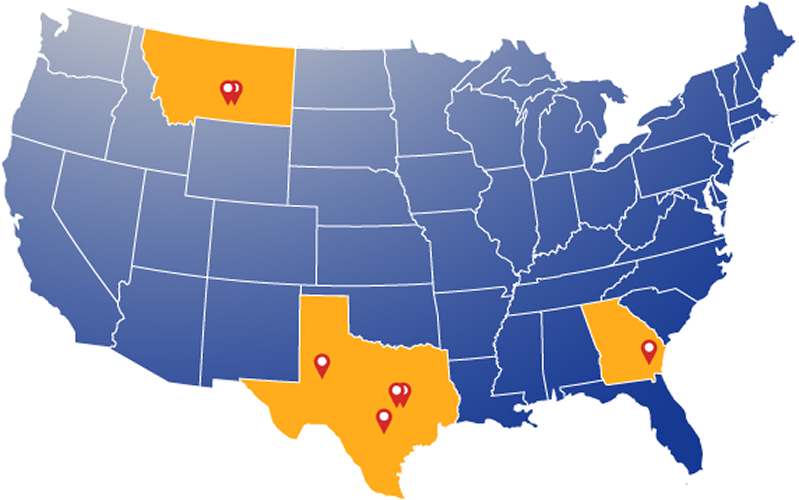 We have manufacturing facilities strategically located throughout the United States to service our clients wherever they are.